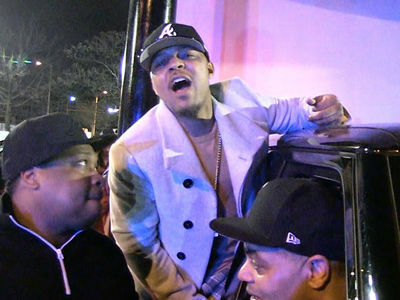 Bow Wow Clowned in 'Wild 'N Out' Rap Battle ... Future Got Your Exes, Bro!!! TMZ got this clip of 'Wild 'N Out' cast member Conceited delivering a cold-hearted diss, aimed right at Bow Wow's jugular -- clowning him about how a couple of his exes ended up with Future. His opening line -- "I think all your exes are psychics by the way they keep seeing the Future." The crowd ate it up, and it got worse from there. Watch ... BW looks pissed. If you didn't know, Conceited's shot is touchy because it's totally true! Bow Wow was once engaged to Ciara ... they broke up, Ciara started dating Future and, of course, had a son with him. Later, Bow Wow dated Joie Chavis and had a daughter with her. When they broke up ... you-know-who swooped again, and also had a kid with Joie. 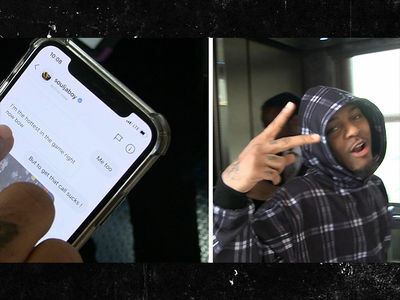 The episode -- airing this Friday at 8 P.M. on MTV -- was clearly taped before Super Bowl weekend when Bow Wow and his current GF, Kiyomi Leslie Holden, were both arrested in Atlanta for allegedly beating each other. It's unclear if Bow Wow and Kiyomi Leslie have broken up due to the fight. We're guessing 'Wild 'N Out' wouldn't have touched such a serious incident, anyway.